Nothing says summer like a good pair of cutoffs, and these Joe's Jeans ones are my summer favorite. 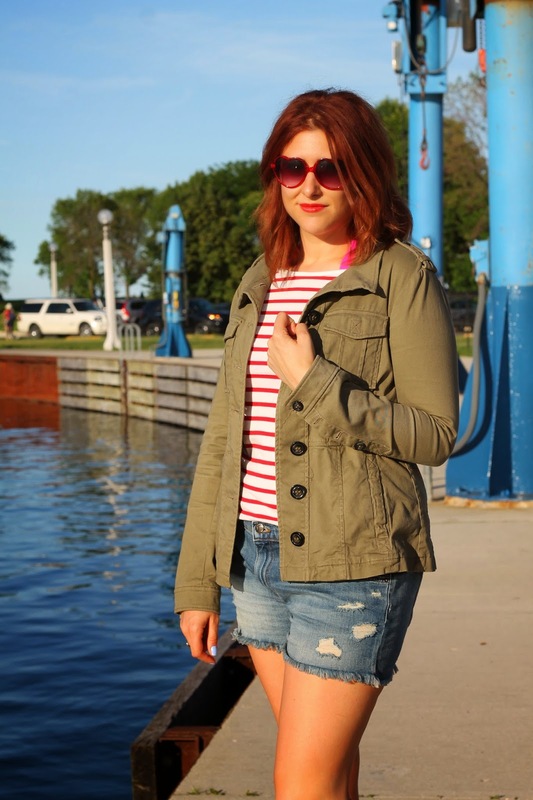 This outfit was perfect for a day at Belmont Harbor grilling out with friends. After this weekend summer is officially over for me! Back to teaching I go. I have lots of summer looks to put up on the blog still so I will just have to keep summer going that way. Goodbye summer 2014. Hello school year 2014-2015! Let's do this!